I would like to thank Anne-Marie Russell, Executive Director and Chief Curator of MOCA Tucson, for the opportunity to envision and create Untitled (Basin and Range). She is truly amazing and has put together a fantastic team to help realize my most ambitious project to-date. I am so lucky to have had her support and guidance throughout this project. It has been such a pleasure working with her, with all of her knowledge and experience and I am so thrilled to be presenting my piece. 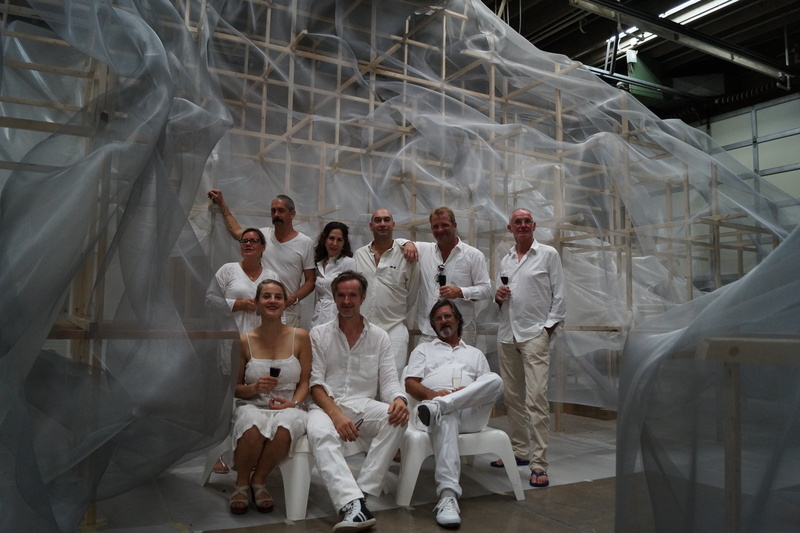 Anne-Marie Russell, Florian Altenburg, Catherine Eyde, Jocko Weyland, Mike Hein, Johans Steinrich, Florencia Minniti, Alois Kronschlaeger, and Henry Kerr.